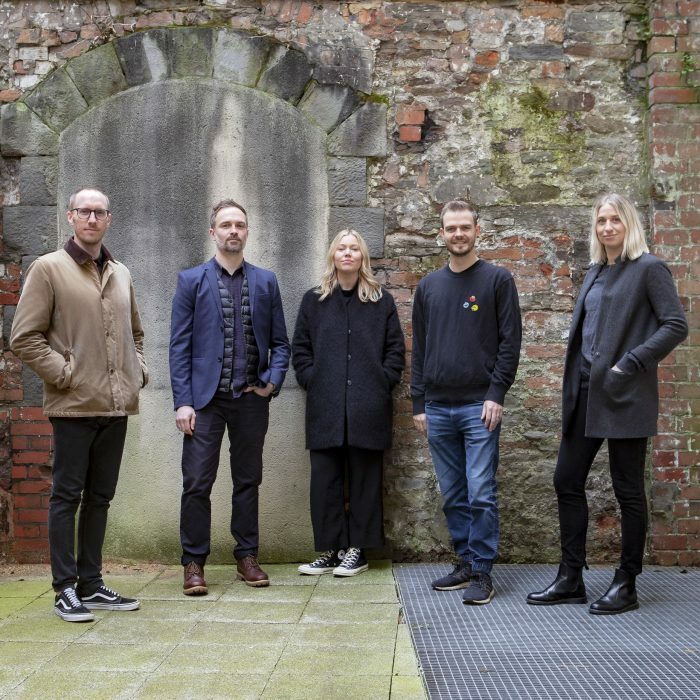 Creative studio OUTLAW is set to move to Bristol’s Finzels Reach, which is fast making a name for itself as one of the city’s most exciting new quarters. Having spent their careers in London agencies, the team behind OUTLAW was drawn to Bristol’s thriving creative scene, as well as the appeal of being based in the heart of the city centre within unique, characterful workspace at Finzels Reach. Founded in the summer of 2018, OUTLAW, which creates disruptive designs for brands, is now looking to grow its new venture by creating 15-20 jobs over the next few years. Finzels Reach has a rich brewing history, having been home to several famous Bristol breweries over the years, most recently Courage brewery, and holds personal significance for one of the OUTLAW team. At Finzels Reach, OUTLAW has taken 2,594 sq ft of space on the second floor of the Fermentation Buildings, representing the first office tenant to be secured at these historic buildings. This comes after BAFTA-award-winning creative media company BDH recently moved into the Malt House and software development specialist Amdaris moved into Studio A at striking new office building Aurora, both within Finzels Reach, paving the way for the creation of a creative and media business hub. The OUTLAW team, which is currently based at Runway East in Bristol, says it struggled to find somewhere in a central location that felt characterful rather than corporate, but they knew they had found the perfect spot when they came across Finzels Reach. OUTLAW joins other businesses within the wider Finzels Reach area including financial services firm Parmenion, part of Aberdeen Standard Investments, professional recruitment and consulting specialist Experis, law firm Simmons & Simmons and intellectual property specialist Mewburn Ellis LLP, which are all based within Aurora. For information about the leisure space available alongside Hawkins Lane, which runs through the heart of Finzels Reach, contact Insight Retail on 0117 930 4536.